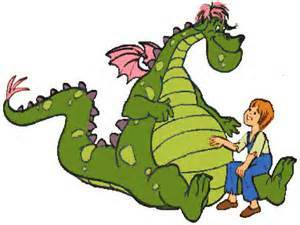 Memories of Days Past With Grandchildren and Puff the Magic Dragon! Twenty Beautiful Grandchildren and Puff! Puff, the magic dragon lived by the sea and frolicked in the autumn mist in a land called Honalee. Little Jackie Paper loved that rascal Puff, and brought him strings and sealing wax and other fancy stuff. Together they would travel on a boat with billowed sail. Jackie kept a lookout perched on Puff’s gigantic tail. Noble kings and princes would bow whene’er they came, pirate ships would lower their flag when Puff roared out his name. I have been blessed with twenty grandchildren – seventeen still living. What joys they have all brought to my life! I became an instant grandmother when I married my husband, Paul. He was the proud grandfather of a little boy (4 years old) and a little girl (2 years old). I remember the first time I met them. Nervous about being a grandmother and not sure how they would receive me, I held out my arms to them and they thrilled me by quickly coming into my arms for a big hug. Cheryl sat on my lap most of the evening and played with my pearl necklace. By the time the evening was over, it was love for all three of us. And a wonderful beginning to the role of grandmother! Over the years my husband and I have celebrated the births of 18 more grandchildren. Sadly, three of them did not live beyond the first couple years of life – but I treasure their memory in my heart. I have shared the story of one of my granddaughters in my post – I Never Thought It Would Hurt This Much. Each one has a unique personality. Some are my biological grandchildren born to my own two daughters. Others, while not my biological grandchildren, are still mine. Born to my stepchildren (although we don’t use the word “step” to describe our relationship) they are mine by love. Then there are my grandchildren who became part of our family by adoption. While they carry none of my DNA and are even a different color than me, I fell in love with them and dare anyone to say they are not my grandchildren. Some are tall (one grandson is 6′ 5″ and seems to never stop growing) and others are short. They range in color from one granddaughter who is almost snow-white to a grandson that is as black as black can be. But I love them all and thank God for the laughter and joy they have brought to us. How I treasure those days when they were little and we played games on the floor, took walks through the park examining every flower and tree, sang silly songs, read books and played with imaginary characters. Through their young eyes, I saw the magic of the world again. The beauty of the snow, the thrill of a rainbow in the sky after a storm, the joy of feeling the soft spring rain on my face. Through their imagination, I hid from the ghost, fought with the Ninja turtles, tossed food to Bernard the alligator that lived in our basement. But grandchildren don’t stay little forever! A dragon lives forever but not so little boys. Painted wings and giant rings make way for other toys. One grey night it happened, Jackie Paper came no more. And Puff that mighty dragon, he ceased his fearless roar. 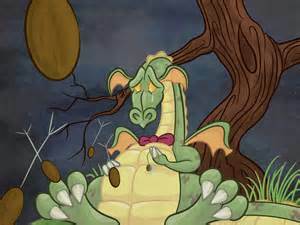 His head was bent in sorrow, green scales fell like rain. Puff no longer went to play along the cherry lane. Without his life-long friend, Puff could not be brave, so Puff that mighty dragon sadly slipped into his cave. While the last verse of the song sounds so sad, I still enjoy my grandchildren who are now almost all young adults. Our relationship is different, of course, but I enjoy hearing about their studies, their new careers, their hopes and dreams. It is neat to relate to them more as adult to adult than adult to child. What a joy to see them becoming strong, compassionate adults! Now our games are scrabble, gin rummy and other card games and they enjoy trying to beat their grandparents. Now we have serious discussions about politics and theology – but we still love to giggle at a crazy joke, a silly movie or a favorite comedian. Still, I miss those times with Puff! While most of the grandkids are young adults or fast becoming one, I’m so thankful for the little granddaughter I call the “grandchild of my old age.” Zoe will be four years old very soon and these past four years have been such a joy as I have been able once more to visit that land of imagination and see the world anew through her eyes. While I enjoy her for herself alone, I also relive the past years with my other grandchildren as I watch her explore and discover the world all around her just as they did. Sometimes when she says or does something funny, my mind races back to another time, another grandchild. I sometimes wish I could “freeze” her and hold her at this age a little longer, but she too is growing up. Before I know it, it will be time for Puff to slip into his cave again. But somehow realizing that these moments will not last forever, I enjoy them all the more. This entry was posted in Adoption, Family Life, Joys of Grandparenting and tagged Adoption, Grandchildren, Love and Commitment, Puff, rascal Puff, the magic dragon by Barbara Lane. Bookmark the permalink.